Years ago when I was starting my career in the POS industry, I had a manager that used to say that customers won’t tell anyone about a good customer service experience; but they’ll tell 250 people about a bad one. 250 people seemed like an impressive number back in a time when local businesses relied heavily on word-of-mouth to get new customers. But today, with social media and online review sites like Google, Facebook and Yelp, this number pales in comparison to the impact that one unhappy customer can have on your business. Today popular social media influencers can affect the buying habits and decisions of thousands of followers. Equally as important is your online reputation; just a couple of good or bad reviews could potentially make or break you. 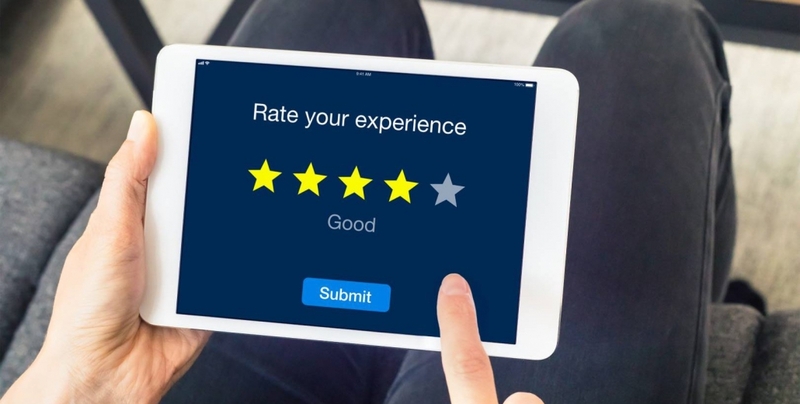 If your average Google review score is 3 stars or less, potential customers could decide to buy from online competitors instead of visiting your store. So today, it’s essential for you to know what your customers are saying about you after they leave your store. According to a study done by Spiegel Research Center in 2017, 94% of shoppers read online reviews before making a purchase. Another survey conducted the same year by BrightLocal, found that 93% of local consumers use reviews to determine if a local business is good or bad; and 73% of consumers trust a local business more after reading positive reviews. Another study conducted by CrowdTap and Ipsos Media CT in 2014, showed that Millennials trust information found in user-generated content like Google Reviews and social media posts 50% more than information from traditional media sources. If that’s not enough proof that online reputations affect consumer buying habits, think about the last time you researched something you wanted to buy. How many reviews did you read before you actually bought the product? How did the star rating on the product (or retailer) affect your decision to purchase the product (and from whom)? With all this overwhelming evidence, it’s no wonder that managing your online reputation can significantly impact the success of your business. So what are the steps you need to take to leverage online reviews? First you need to make it easy for your customers to post reviews about you. Next, you need to monitor the reviews regularly so you can identify positive reviews that should be posted to your website or other review sites. And you also have to identify negative reviews so that you can respond to them and attempt to make things right. But what if you don’t have any online reviews? What if your customers never post online reviews even though you repeatedly ask them? Well, have heart. There’s a number of apps and services available that can make it really easy for your customers to post online reviews about you. One in particular, GatherUp, is a cost-effective service that encourages your customers to rate their experience and write a quick review. All you need to do is upload an email list of shoppers. If you’re using MyPOS Connect, you can use our optional plug-in for GatherUp that will automatically send approved customer email addresses and mobile numbers to GatherUp, so you don’t have to do anything but link the customer to the sale in the POS screen. GatherUp will send out a short email or text request, asking your customers to rate you on a scale of 1 to 10 (10 being the highest score and 1 being the lowest). GatherUp can even ask for a customer review, which it then posts on up to 40 different online review sites. It’s the most effective way to encourage customers to post reviews because they don’t have to do anything but respond to a couple of simple questions. All you have to do is get your customers’ email addresses. But don’t forget to make sure you have their permission to send your review requests. In Canada and the UK, it is unlawful to send unsolicited emails without your customer’s permission. It’s not against the law in the US (yet); but it is good form to ask.